Maybe you would like to build your own tiny house, but what if you don’t have the carpentry skills, or don’t have the time or space to gather “found” materials from scrap heaps and dumps? 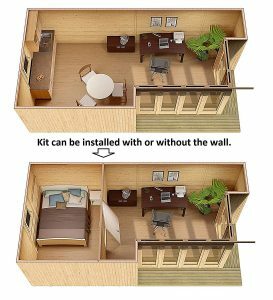 One solution is to purchase an affordable tiny house kit, and surprisingly, you can find tiny house kits on Amazon. 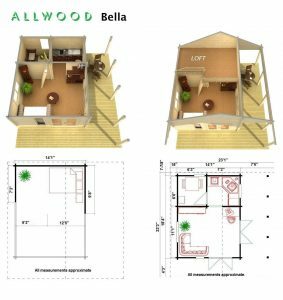 After researching the tiny house kits available on Amazon, the Allwood brand looks very attractive, versatile, and easy to put together. To me, these 12 models look like they can be put together by just one person, or the bigger models, two people. 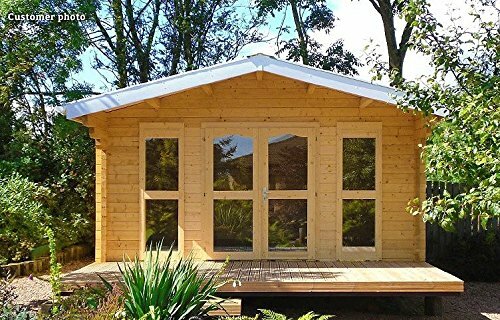 The key to the Allwood construction are the special, interlocking boards, made of very durable Nordic Spruce; the interlocking planks stack together, similar to the way an old fashioned log cabin is constructed. The wall thickness is generally 1-3/4″, and the dual tongue and groove creates a wind block pattern, so the home stays snug inside. The company says, no interior finish is needed over the beautiful Nordic Spruce. 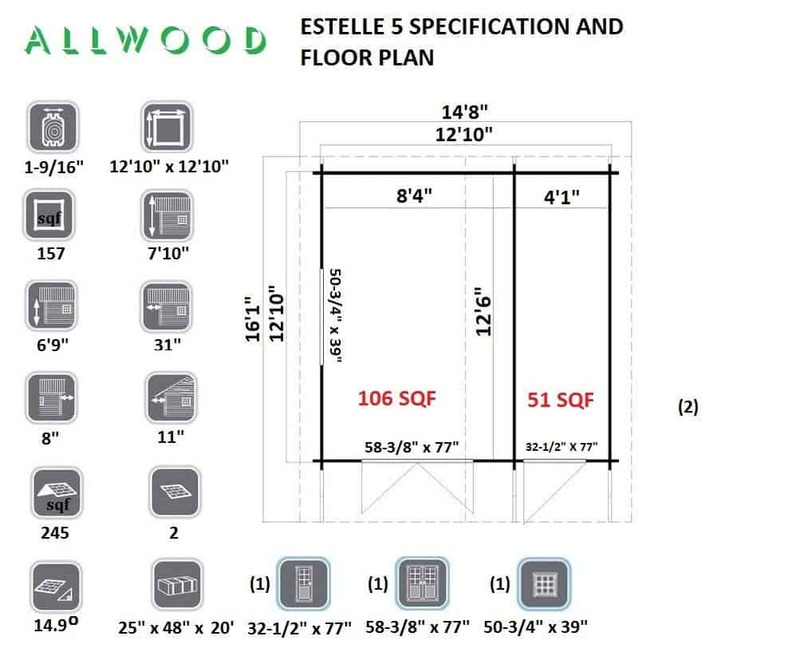 Extra planks are also available, in case you want to raise the roof level. The windows, doors and flooring are all included; the only things not included in the kits are the foundation materials, and the roofing shingles, as well as any plumbing or electrical work. 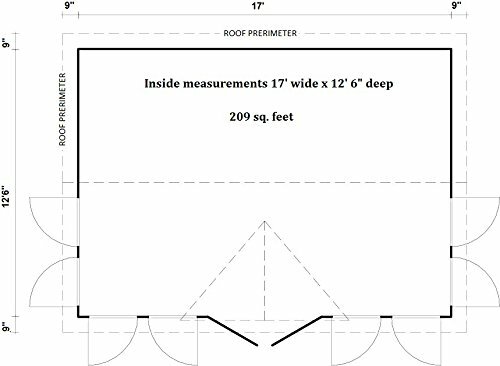 Estimated cost for the foundation and roofing materials is $650 – $1,000, depending on the type of roof, and the type of site. 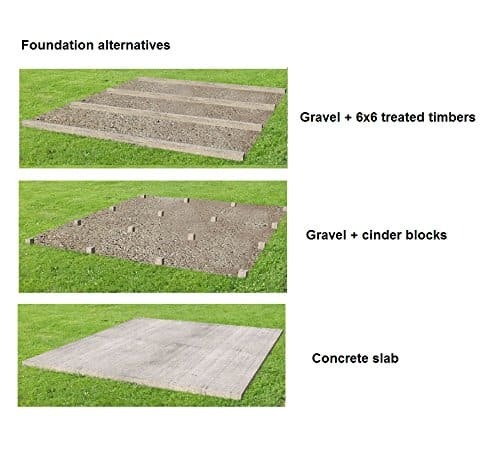 In all cases and especially for large tiny house kits, a concrete slab foundation is ideal. However, any solid foundation which spreads the construction load over a wide area will work. 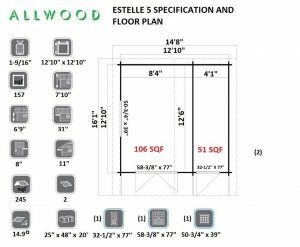 So let’s get to the good part, the pics and specs of my 12 Allwood tiny house kits, in alphabetical order! 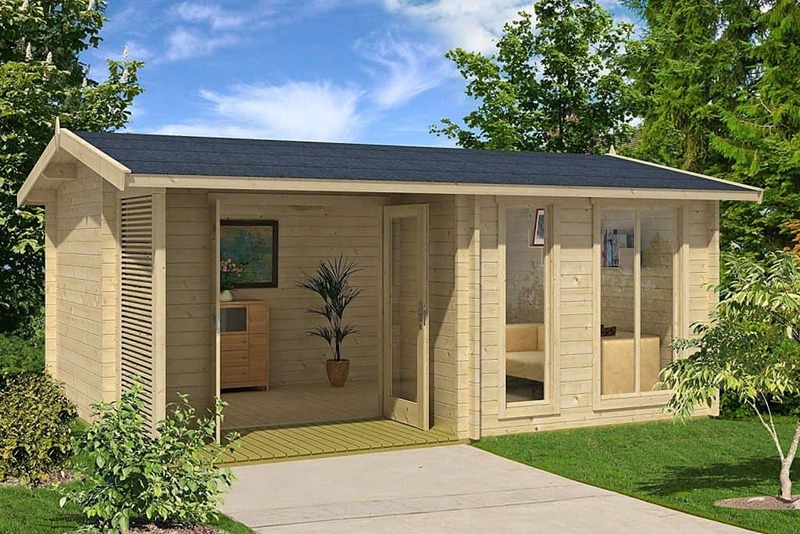 This timeless urban design comes in 3 sizes, and is an alternative to classic log cabin styled structures. It works well in a variety of surroundings. Just like the other two Arlanda models, the XXL version can be set up on the rooftops of multi story buildings. Assembly of this model takes a full day for two adults. Simple step-by-step directions come with the kit, and only minimal tools are needed. 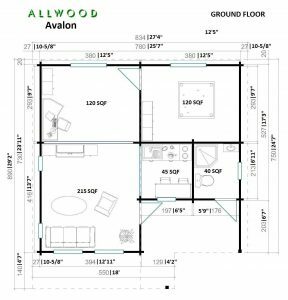 If you are searching for a tiny house with a functional floor plan, take a look at Allwood Avalon. 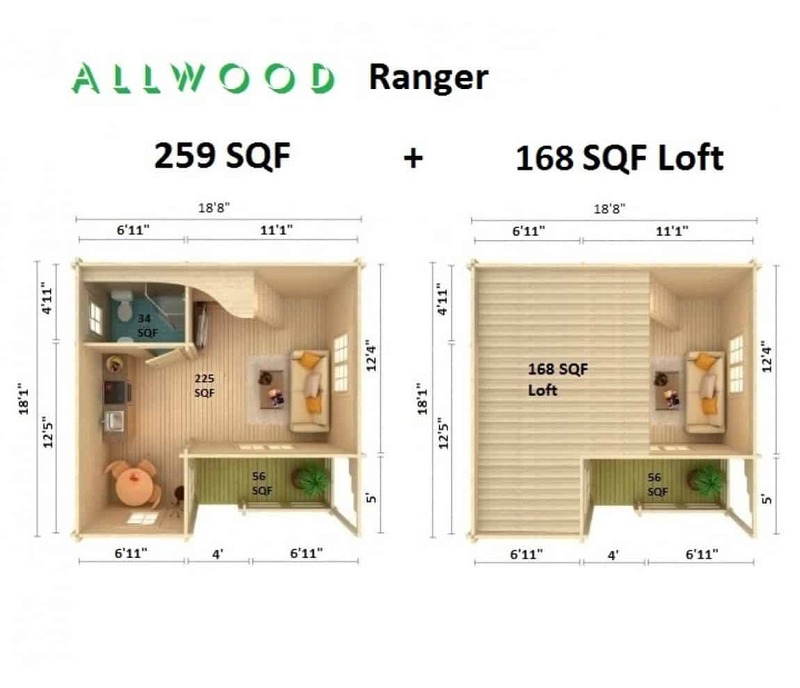 540 SQF combined ground floor area, with a 218 SQF sleeping loft (whereof 53 SQF with min. 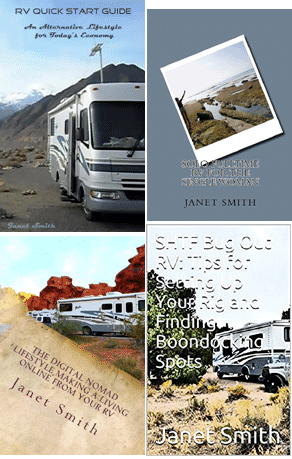 48″ headroom) allows many room options. 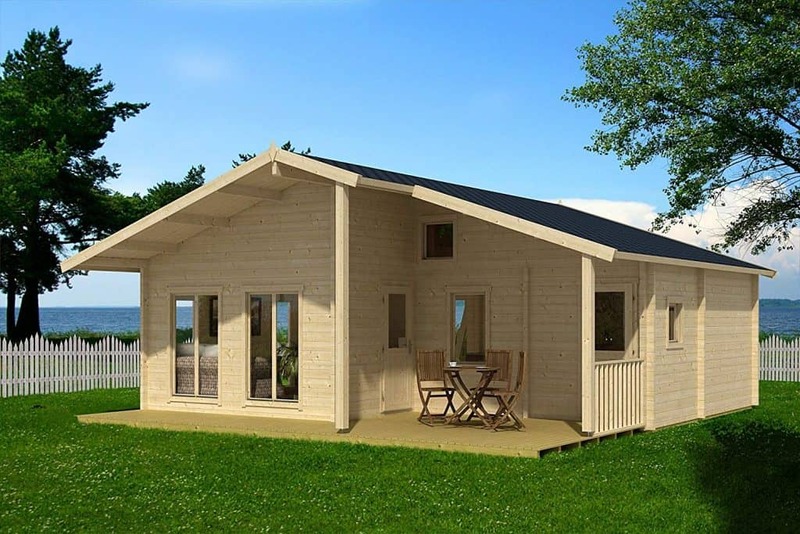 Like all of our kit cabins, Avalon is made from high quality Nordic wood. 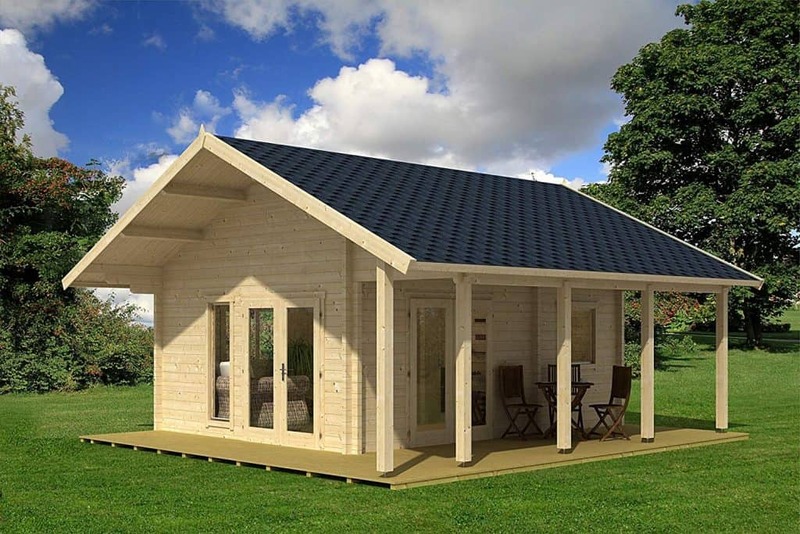 This cabin can be a lake house, guest house, beach or garden cottage. With thicker than usual (2-3/4″) wall planks, the Avalon is very energy efficient, and well suited even for colder climates. 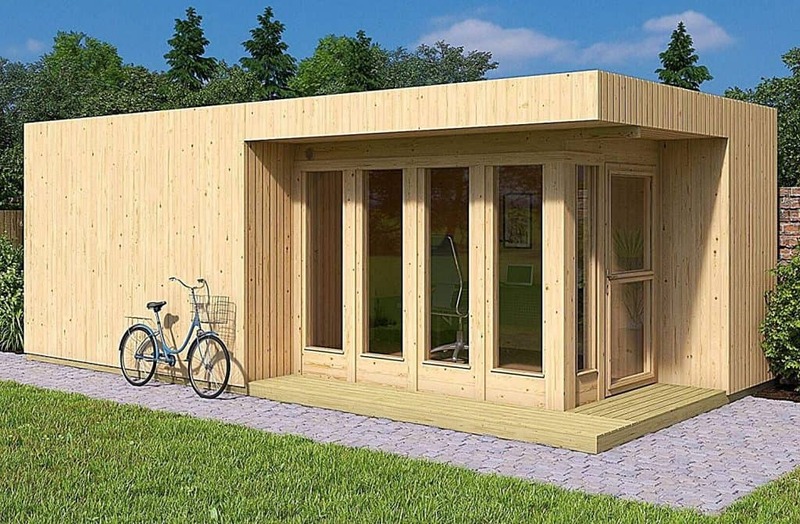 Assembly of this solid wood cabin takes about a week for two adults. Do it yourself simple step-by-step directions come with the kit. The Bella is a popular cottage style kit, made from high quality Nordic wood. 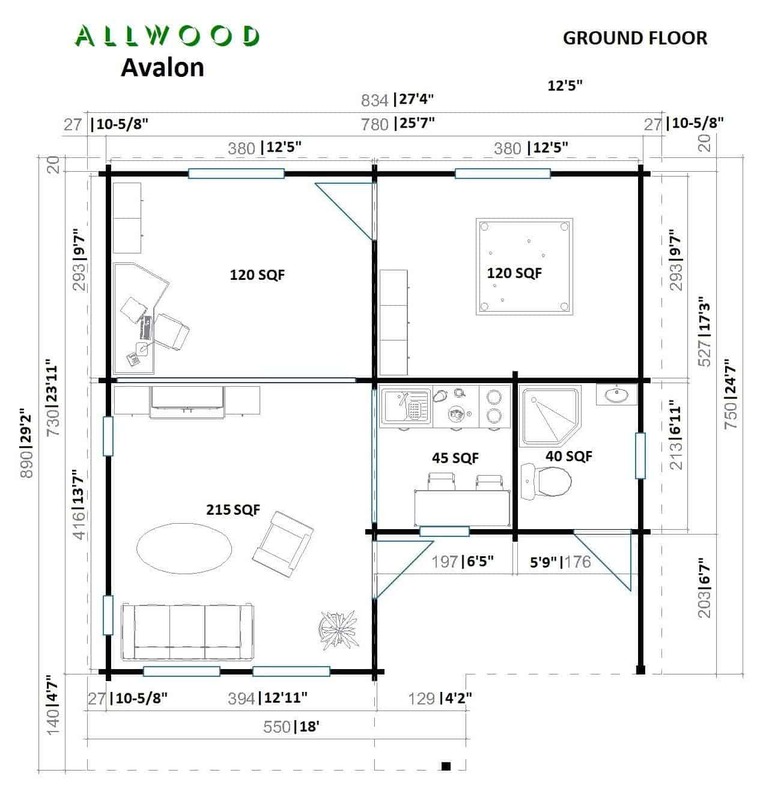 It has a functional floor plan of 324 Sqf (237 Sqf downstairs + 86 Sqf Loft). Assembly of this solid wood cabin takes about 16 hours for two adults. Do it yourself simple step-by-step directions come with the kit. Only minimal tools are needed. Included in the kit: Durable, dense grain and slow grown Nordic Spruce wall planks, roof and floor boards. Pre-hung and glazed doors and windows. Pre-assembled gables. All nails, screws, fixings, handles and door locks. Easy to follow instructions. 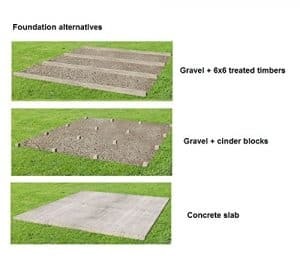 Not included: Foundation materials under the timbers, such as cinder blocks, for example. Estimated cost for those is aproximtely $650 – $1,000 depending on the type of roof and the type of site. 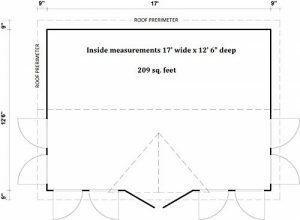 Roof Area: 596 Sqf Roof pitch: 25.4 degrees. Large roof area is ideal for solar panels! 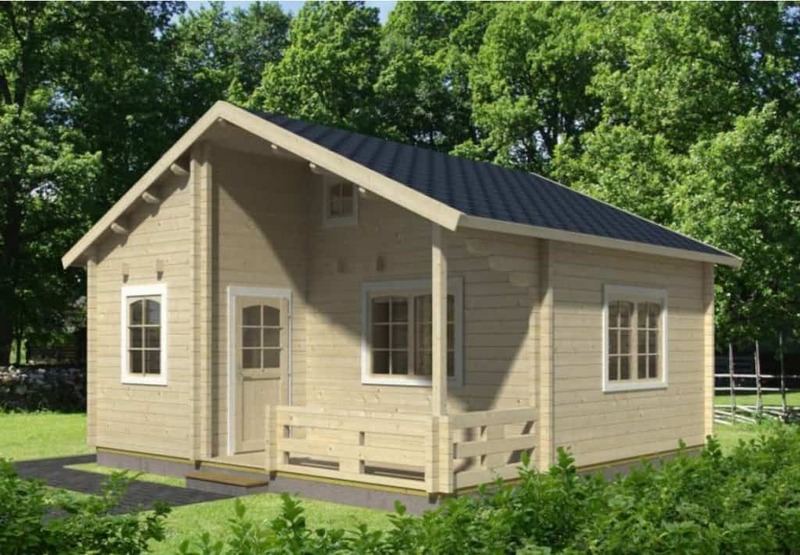 The Claudia is a cottage style tiny house kit, made from high quality Nordic wood, with 209 interior sqf. Assembly of Claudia model takes one full day for two adults. Do it yourself simple step-by-step directions come with the kit. Only minimal tools are needed. For year round use, added insulation is recommended. In most climate zones, floor and roof insulation will be enough. NO INTERIOR FINISHING NEEDED. Durable, dense grain and slow grown * Nordic Spruce * Floor and roof construction materials included. Also included: Pre-hung and glazed doors and windows. Pre-assembled gables. All nails, screws, fixings, handles and door lock. Easy to follow instructions. ADD-ON OPTIONS: Canopy roof storage. 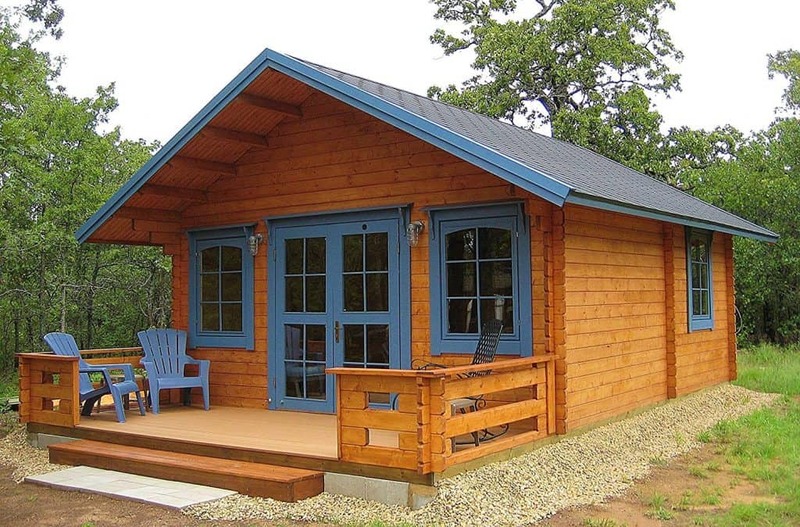 The Lillevilla Getaway is a high quality, solid wood cabin. With 292 Sqf inside floor area plus a sleeping Loft (which is not part of the 292 Sqf due to limited height), Getaway is large enough to function as real home. For colder climates, it’s recommended adding extra insulation. 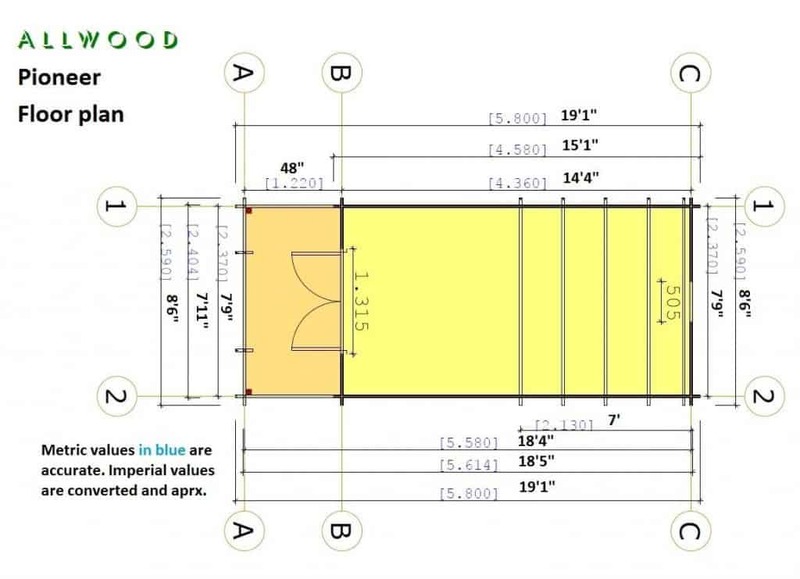 Assembly of this solid wood cabin takes 2-3 days for two adults. Do it yourself simple step-by-step directions come with the kit. Only minimal tools are needed. Allwood Cabin Lillevilla Getaway Features: NO INTERIOR FINISHING NEEDED. Durable, dense grain and slow grown Nordic Spruce Covered Terrace (Optional) Floor and roof construction materials included. Pre-hung and glazed door and window. Pre-assembled gables. All nails, screws, fixings, handles and door lock. Easy to follow instructions. Inside Floor Area: 292 Sqf. The Mayflower is a modern and unique interpretation of the pioneer wagon, without the arduous journey to the West! 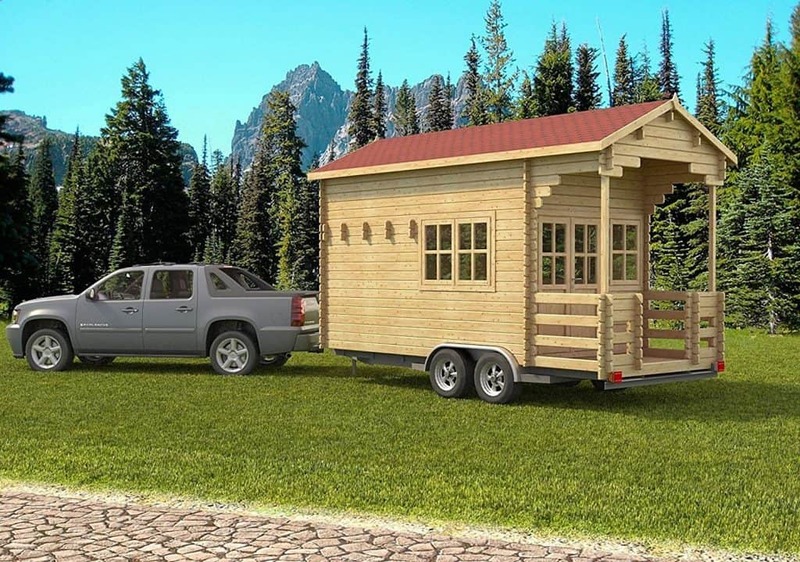 The non-functional wheels *may* meet the requirements of many locals to avoid building permits for tiny house on wheels, as structures on wheels are exempt from permits in most states. 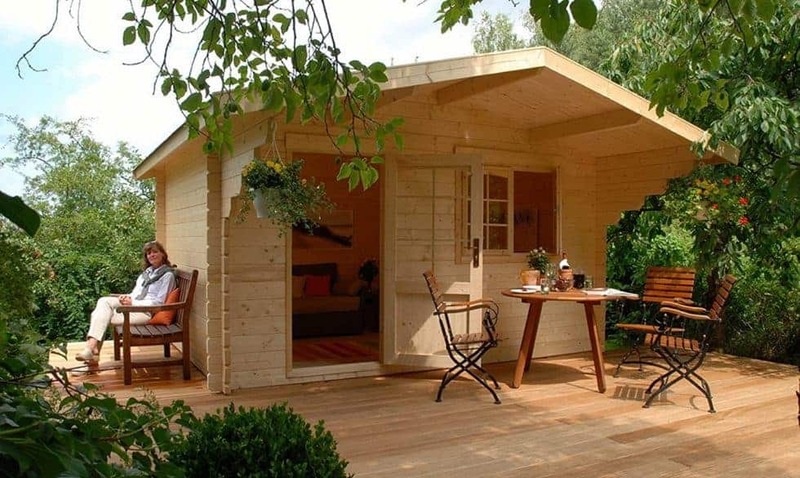 This cozy cabin will be a focal point of any garden or yard. It is built from high quality Nordic wood. Assembly of this solid wood structure takes a full day for two adults. Do it yourself simple step-by-step directions come with the kit and only minimal tools are needed. The steps and cute flower boxes are included! 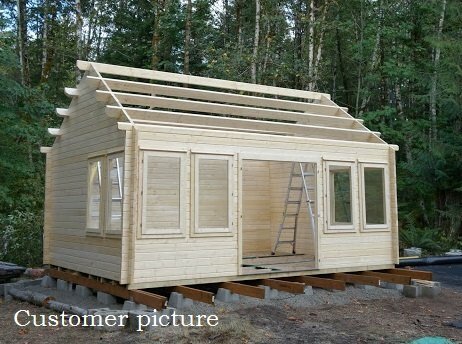 This Cabin Kit includes all the wood parts and hardware except the roof shingles. 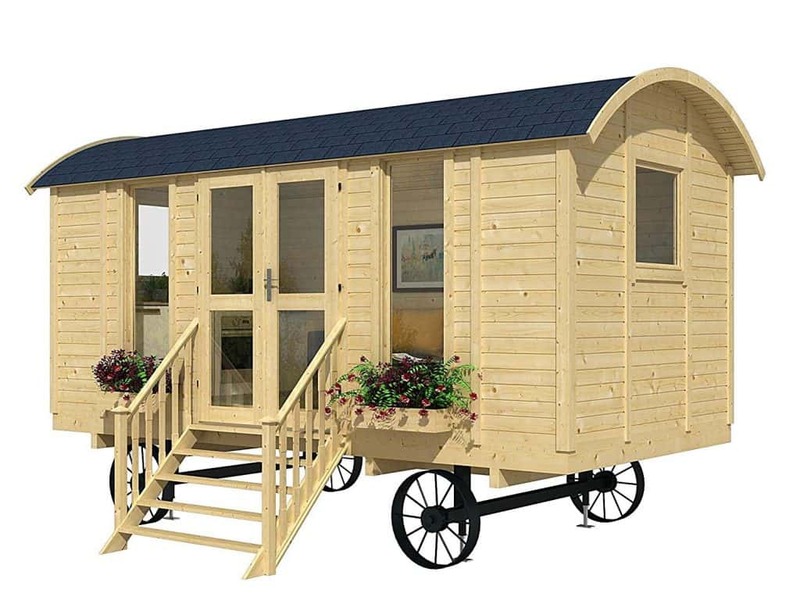 The Allwood Pioneer is scaled to fit on a trailer (trailer base not included). It can also be built on the ground. 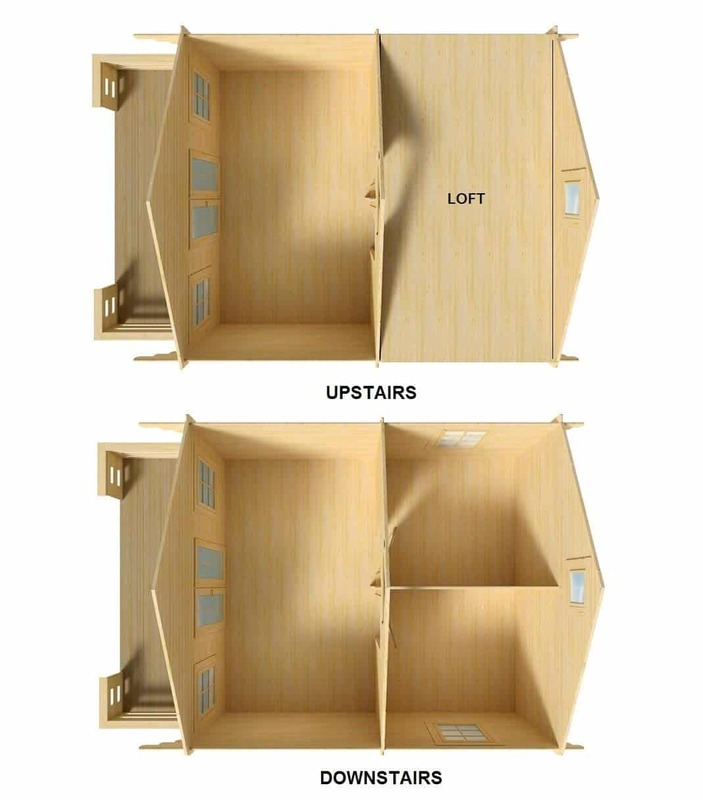 It has 171 Sq Ft of room. 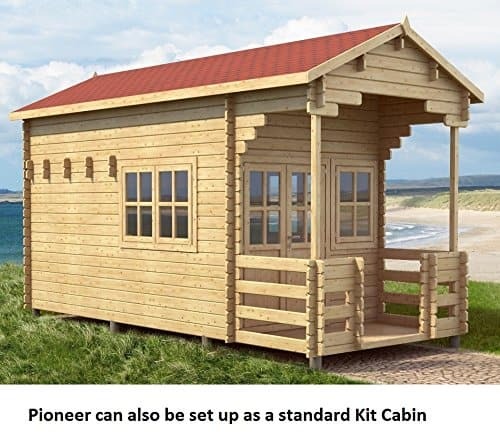 Pioneer is a more traditional cabin style with a ridge roof. Each kit is pre-cut for the door and the small loft window, but there are no cut-outs for standard size windows on the walls. Those windows come with the kit and you can decide where to install them. The cutout for each window can be made while erecting the walls or later. 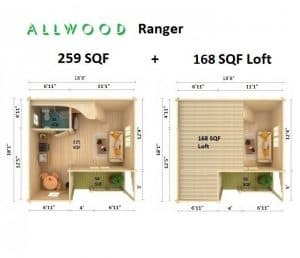 Allwood Tiny Home Kits are intended for customers who want to set up the frame and the roof in a couple of days, and start furnishing the structure right away. This process greatly shortens the usual building time. 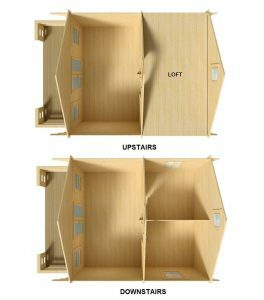 In addition to the standard hardware (screws, nails, door lock, door/window hinges and handles), our Tiny Home models also come with aproximtely 120 long stainless steel screws. Those will secure each layer of wall planks to the previously added layer. For wall insulation we recommend adding studs and either wall siding or any other material of your choice. Fill the cavity with foam or rockwool. Electrical wiring and plumbing can also be concealed inside the insulation layer grid. The Pioneer Tiny Home features durable, dense grain and slow grown Nordic Spruce Floor, roof construction materials, included Pre-hung and glazed double door and windows, Pre-assembled gables. All nails, screws, fixings, handles and door lock. Special long screws to secure layers of wall planks. Easy to follow instructions. The Ranger is a Scandinavian cabin design focusing, on practicality and functionality. Spacious 259 SQF main floor and a large 168 SQF Loft. Thicker than usual (2-3/4″) wall planks make Ranger a very energy efficient and well suited cabin even for colder climates. Assembly of this solid wood cabin takes about 2 days. Due to the height of this cabin, we strongly recommend it as a “two adults project” for safety reasons. Do it yourself simple step-by-step directions come with the kit. Only minimal tools are needed. Pre-hung and glazed door and window Pre-assembled gables, All nails, screws, fixings, handles and door lock, Easy to follow instructions. There are many reasons to like this model. 174 Sq. Ft of space. Large windows allow an abundance of natural light inside. Wide double doors can be opened to let the summer in. 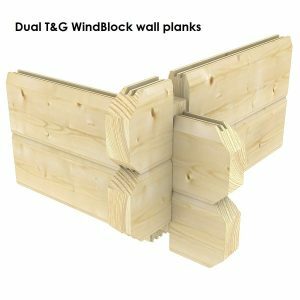 Sturdy 1-3/4″ dual T& G windblock Nordic spruce wall planks. Ends of those wall planks are straight, which makes this model look like a hybrid between a classic styled cabin, and a typical garden house. This timeless design will accommodate all kinds of themes, styles and surroundings. 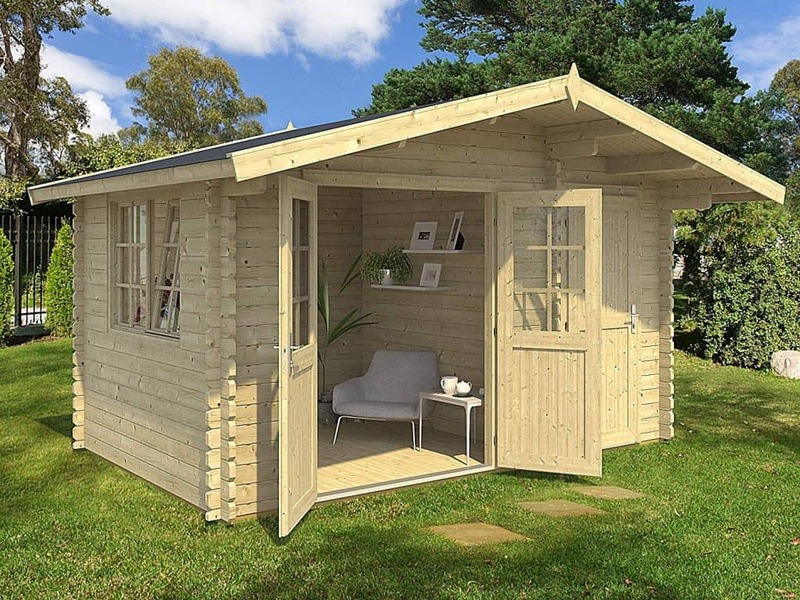 Assembly of this cabin takes a full day for two adults. Do it yourself simple step-by-step directions come with the kit. Only minimal tools are needed. 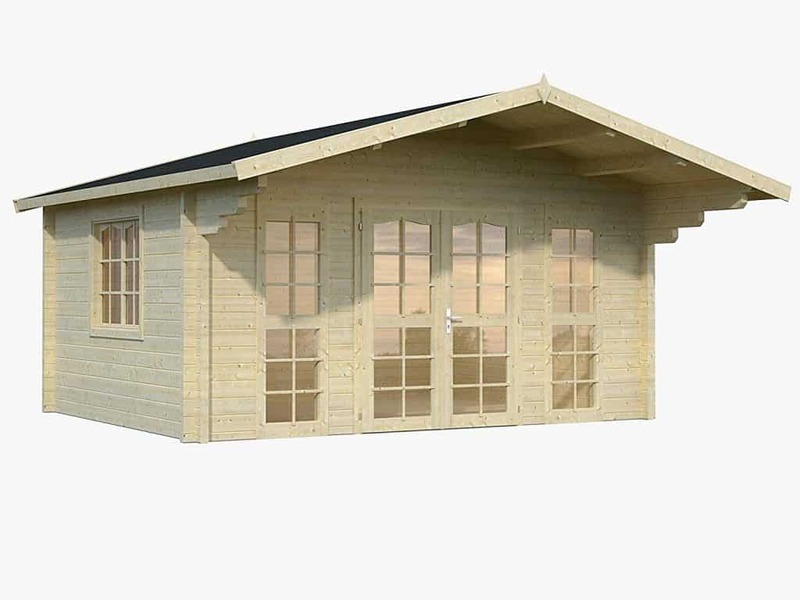 The popular Sunray kit cabin is made of high quality Nordic wood. This aptly named model is designed to allow abundant natural light inside. 162 Sq Ft of space. With thicker than usual (2-3/4″) wall planks, Sunray is very energy efficient and well suited even for colder climates. Assembly of this solid wood cabin takes a full day for two adults. Do it yourself simple step-by-step directions come with the kit. Only minimal tools are needed. 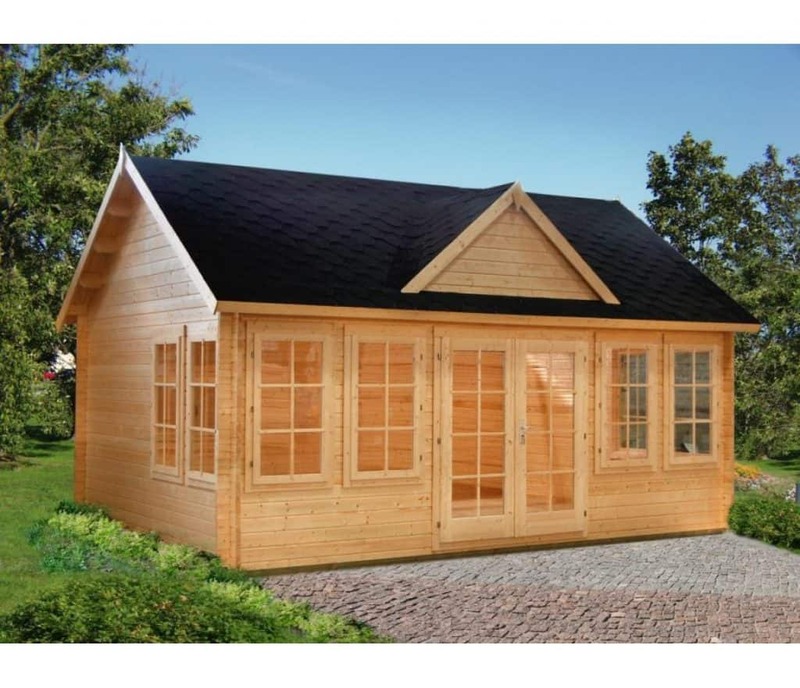 Sunray Features: Durable, dense grain and slow grown Nordic Spruce Floor and roof construction materials included Pre-hung and glazed double door and window Pre-assembled gables All nails, screws, fixings, handles and door lock. Easy to follow instructions.